CAFFCI conducts international and regional communication and cooperation activities extensively. 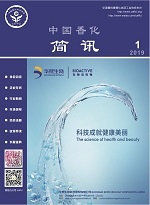 CAFFCI is an association member of International Fragrance Association (IFRA) and an association member of International Organization of the Flavor Industry (IOFI).On behalf of Chinese cosmetic industry, CAFFCI has joined in International Cooperation on Cosmetic Regulation (ICCR) Industry Steering Committee, and participated in the related activities organized by ICCR and International Associations Collaboration (IAC). CAFFCI has established good and close relationship with over 30 associations all over the world, such as Personal Care Product Council (PCPC), Cosmetics Europe (CE), Japan Flavor and Fragrance Manufacturers’ Association (JFFMA), Japan Cosmetic Industry Association (JCIA), Korea Cosmetic Association (KCA), European Federation for Cosmetic Ingredients (EFfCI), German Cosmetic/Toiletry/ Perfumery and Detergent Association(IKW), Australian Hygiene/Cosmetic & Specialty Products Industry (ACCORD), Canadian Cosmetic/Toiletry and Fragrance Association (CCTFA), Cosmetics Italian, International Federation of Essential Oils and Aroma Trade (IFEAT), China Taiwan Cosmetic Association, China Taiwan Fragrance & Flavor Association, China Hong Kong Cosmetic Association, and etc. CAFFCI has exchanged visits and communication with some of the above associations, and singed friendship agreements with some of these organizations.